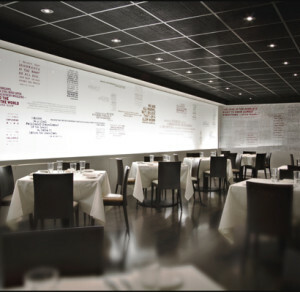 Unparalleled private dining in the heart of San Francisco’s FiDi. Private dining in “The Archive,” our chic downstairs dining room, is exclusive, stylish and the perfect space to celebrate casually or to handle serious business. We have hosted top executives from the City’s most respected firms and major local, state and national political figures, ensuring total discretion and privacy at all times. Private dining options include a variety of fully customizable menu selections, full restaurant buyouts, partial buyouts for large groups, cocktail receptions, various styles of service and the peace of mind that comes with a professional event staff handling every detail of your experience. Call us at (415) 591-1820 for immediate information regarding availability, budgeting, customization, event coordination and more.